Taking long slow rides gave us time to find those perfect moments. The instances when the light was clear and sharp, and everything looks like a painting. Like many equestrians, I struggle with carving out the time to ride without neglecting my family and my job. I’ve often joked that I either have a lot of time to ride and no money or not time and more money. Most of my spring weekends were spent at regattas, not hunts. My daughter had a great season! This spring, you might have noticed that there weren’t a lot of posts about foxhunting. That’s because I was able to hunt a grand total of . . . once. What can I say? Life got in the way. 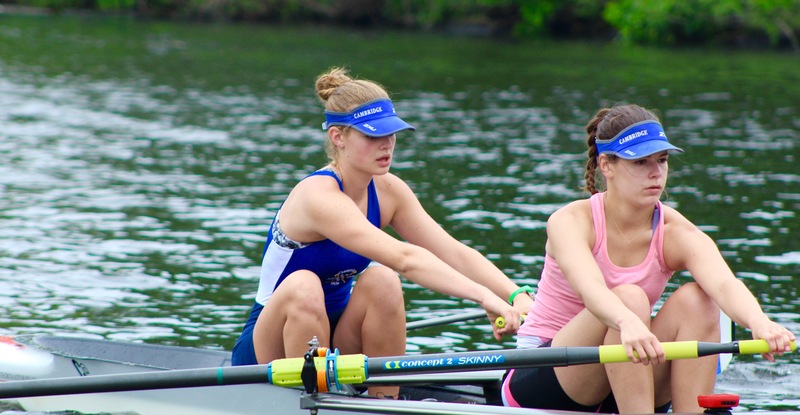 It was my daughter’s last season of high school rowing and I wanted to watch her regattas — and to spend time with her before she heads off to college. Plus, I’ve was lucky enough land a couple of new clients. So, I squeezed in rides when I could and got rained out of a couple of hunts that I thought I could make. As spring emerged we rode through carpets of ferns which glowed like stained glass. 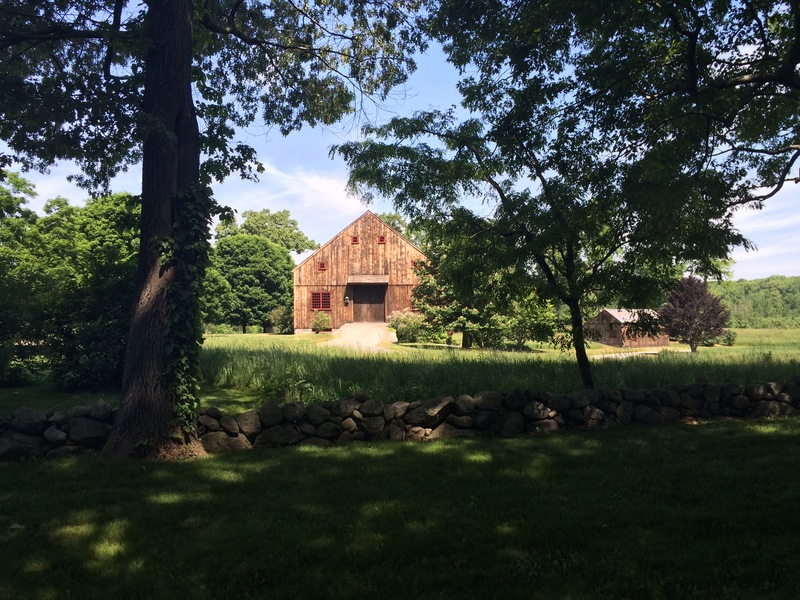 Instead of hunting, my rides became a quiet time, a restorative time. 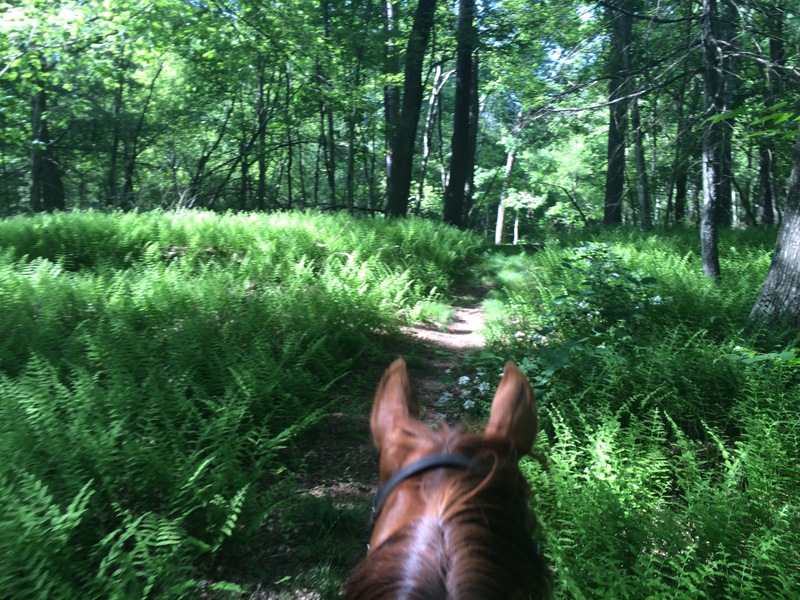 My horses started out the spring being naughty so we both benefited from long walks in the woods. We searched out the special places and sought out the signs of spring — it took awhile to find the Lady Slippers this year, but the day I found the first one, another half a dozen appeared like magic. 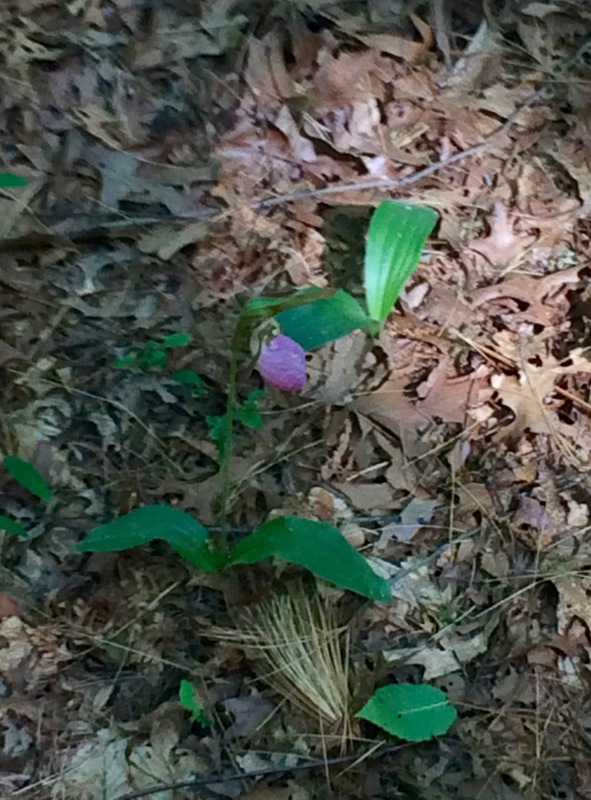 I love finding Lady Slippers in the woods. The horses didn’t mind the easy spring. They enjoy being horses, living out in their paddocks and hanging out with their friends. They go a bit feral when they don’t get worked enough, but it’s not like they are tapping their hooves and looking for a job. I like to think they enjoy hacking out and going new places. Armed with my “Map my Run” app we headed down some new trails and founds some lovely ponds. 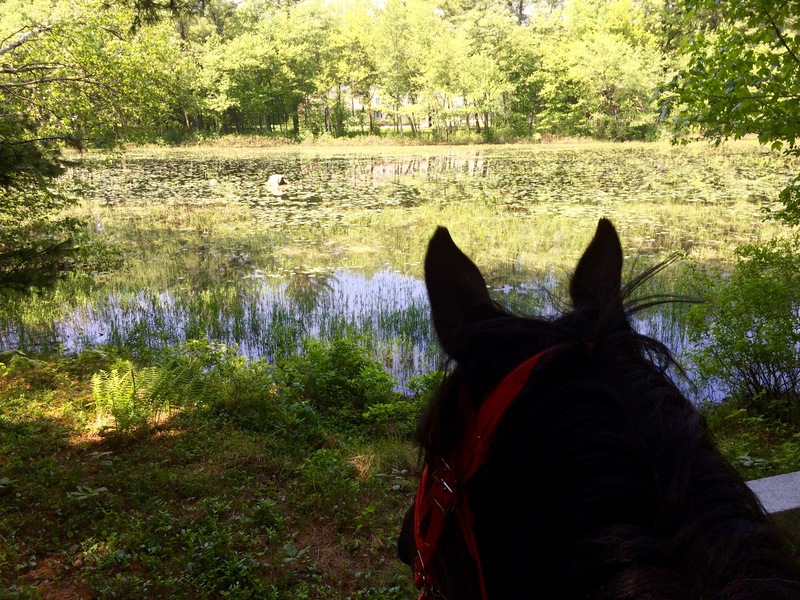 We found a few new trails and some beautiful ponds. you had spring? we had a month of spring and now summer and very hot. I don’t live where it gets hot like Sacramento but..hot none the less! I competed the beginning of June, really excited to be back in the eventing world, then, when working for a client, slipped on some mud and have a small fracture on ankle and limping. the good part is I only have to take 2 (3 actually) weeks off from riding. But I have these issues too! I just hate it. The competition I went to, it was 96 or better for CC day. Who would gallop in that weather you ask? My very fit, because he lives on a hill, horse. No hard breathing when we were done. Just physically hot (I was too). So.. welcome to my world. What happend to you happends to many of us! Ouch! I hate to be sidelined with injuries. The only other time I missed a whole season of foxhunting is when I broke a rib the day before the first hunt of the season! I did ride in the last hunt (my doctor was not happy and it did hurt) because I couldn’t stand the idea of losing the whole spring season. Hope your ankle heals quickly. I’m a big fan of KT tape (using it for my tendonitis).